Solar flight is a frontier of aviation that has not yet reached the main stream. 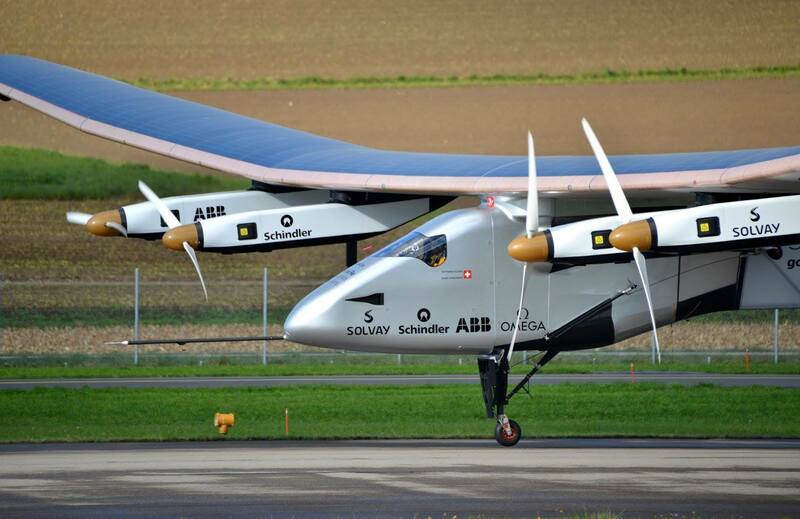 A Swiss experimental project known Solar Impulse is hoping to reverse that trend. In 2013, the team’s first aircraft completed a successful flight across the entirety of the United States. This year, it set out to conquer total circumnavigation. Using a monoplane style layout, Solar Impulse 2 was built to be extremely light so that it can sustain long flights. Despite the featherweight nature of the design, the quad-propellers are only capable of a 43 mph cruising speed. For this reason, the prospect of crossing the Pacific Ocean is exceptionally daunting for the team. The 35,000km journey around the world began March 9, 2015 and the first 6 legs were met with success, but unfavorable winds in the Pacific prevented pilot André Borschberg from completing the 8,200km flight from Nanjing to Hawaii in one shot. A completed attempt would have made Borschberg’s single-piloted flight the longest ever. Instead, he was forced to land in Nagoya, where Japanese officials have been extremely compliant and supportive of the Solar Impulse team. The team reports that the plane has been performing flawlessly, but the team puts safety before all else. Had the conditions become too severe while he was over the Pacific, he would have to part ways with the aircraft and await rescue. During the 40 hour flight that remains, Borschberg may not break the record for the longest single-piloted flight, but he will have completely shattered the record for the longest solar flight. We all wish the Solar Impulse team the best of luck for the remainder of their circumnavigation attempt, and hopefully the technology they have developed will be put into use in solar aircraft of all sizes in the future.